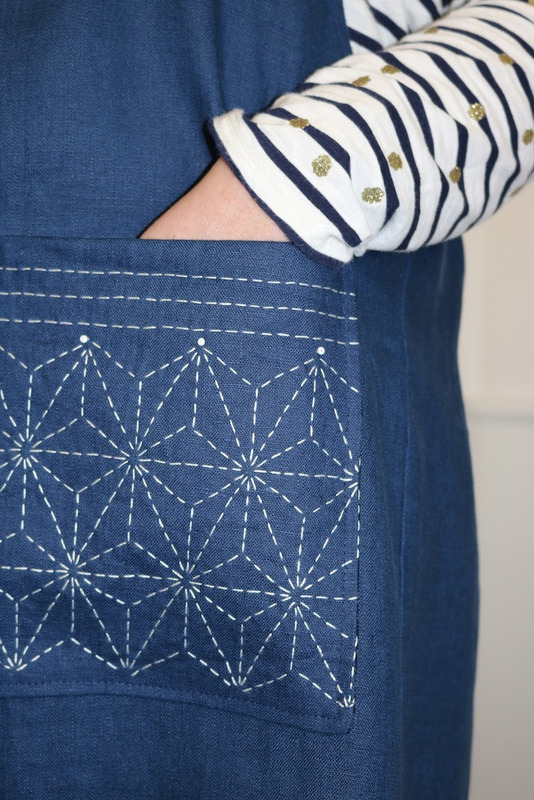 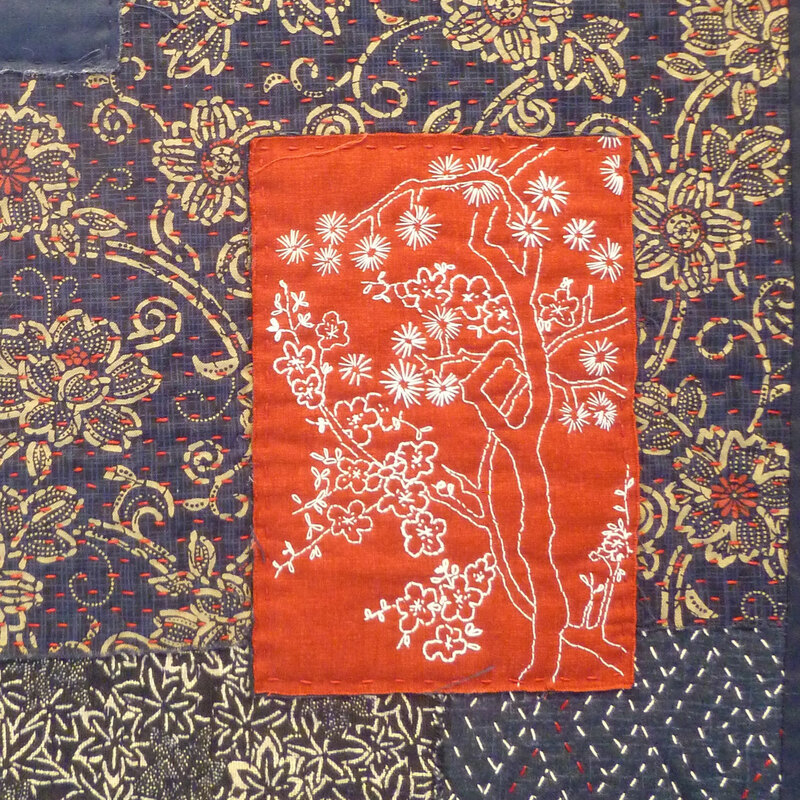 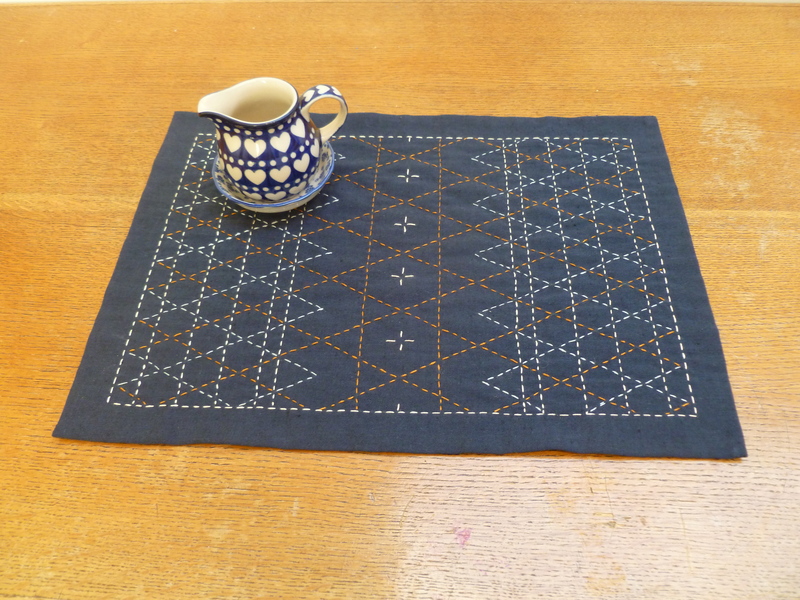 Investigate the patterns of Sashiko work and sew your own Japanese tea mat to quilt in fine running stitches. 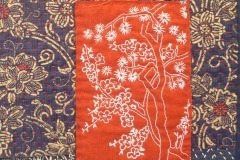 Then enjoy your beautiful creation while sipping afternoon tea. 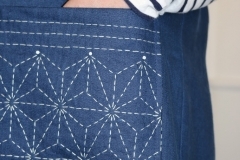 The workshop is designed to enhance your knowledge of Japanese Sashiko work, how it came about and developed into the art form it has become today. 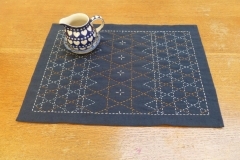 At the end of the workshop you will have made a Japanese tea mat using Sashiko work to display in your house.